“Prinz” (prince) is written in icing on one of the ginger bread hearts. “Ich liebe dich” (I love you). And “Frohe Weihnachten” (Merry Christmas). 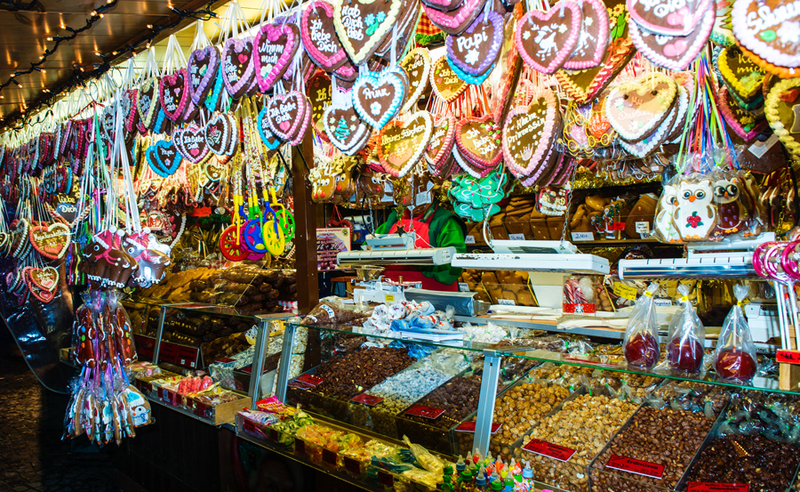 At Welda Heinen’s stand on the Mannheimer Weihnachtsmarkt (Mannheim Christmas fair), you almost find yourself disappearing in the midst of all the witch’s cottages, elk heads, lollipops, hundreds and thousands and frog wine gums. 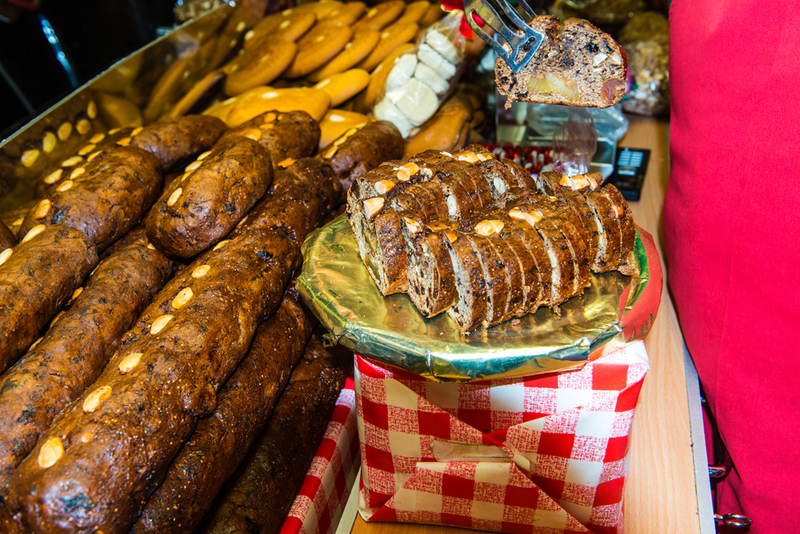 Nevertheless, many clients know exactly what they are going to buy: Kletzenbrot. Made of dates, almonds and figs and mixed with nuts, dried pears and raisins. Not too sweet, not to sticky. A small delicacy made of rye dough. 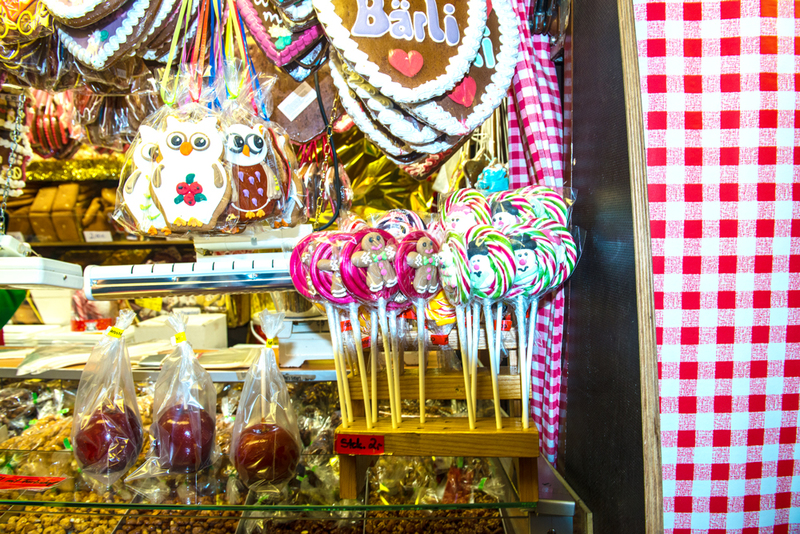 When you buy candyfloss, ginger bread, Hutzelbrot (another dried fruit bread) or this special type of bread, Kletzenbrot, at the Wasserturm (Mannheim Water Tower), you are probably in search of the taste of your childhood, of Grandma’s biscuits or of Christmas – and of the saleswoman’s face. Welda Heinen is used to it. She lives and loves this stand. And she knows that first of all it is about what is sold here. And secondly, about who is selling it. 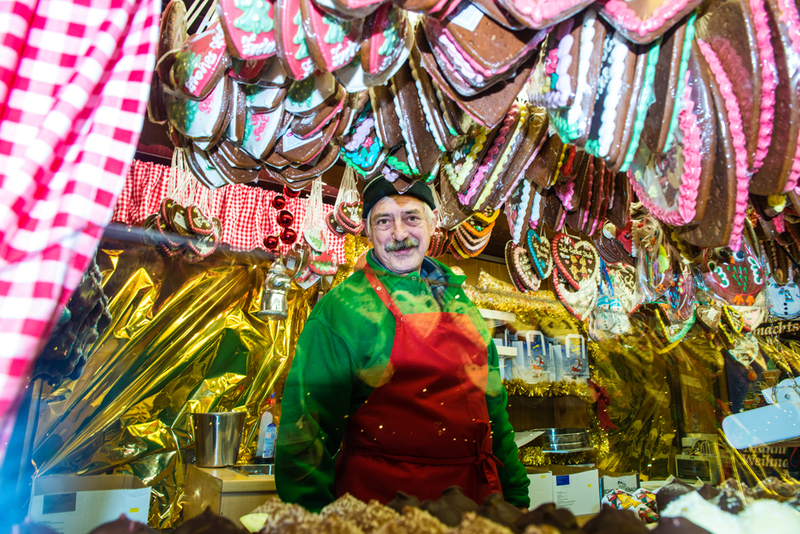 But Welda Heinen is not just any show-woman, who sells confectionary from the stand’s counter for the short duration of a Christmas fair. “In my profession, the people matter,” Welda Heinen says. It’s about quality, local tradition – and about time. Welda Heinen’s work space for almost 40 years: the Mannheim Christmas fair. 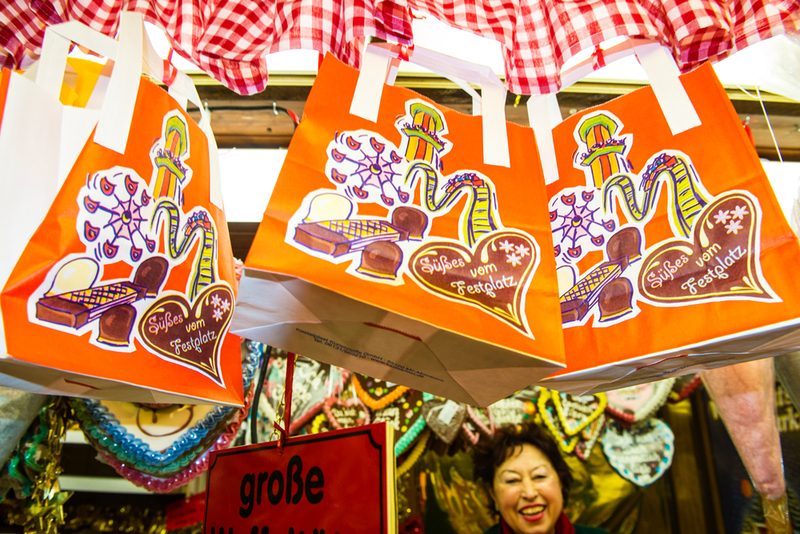 Around 40 years have passed since the Heinen family put up their first Christmas fair stand at the Mannheim Wasserturm. And the tradition of being in the show-people business already goes back many generations: Even her grandparents travelled as show people in a caravan. Her grandmother came from a family of actors, who wandered around with a touring company, in which her mother played the leading role. “My father was a high-wire artist,” the 65-year-old remembers. Life “on the square” was common not only to her parents but also to her grandparents and great-grandparents. “I was born and grew up in a caravan,” says the show-woman, who lives in the town of Worms today. Sliding doors separated the children’s environment from the parents’ section – theoretically. The family used to live close together, not only in spatial terms. Apart from school lessons, the parents and the children spent their time together, assembling and dismantling and travelling to kermises and fairs. Ein weiterer Schatz: Die Schwester von Welda Heinen ist auch immer mit dabei. Vorsicht, Geheimrezept! Die gerösteten Mandeln schmecken unverschämt gut. Herzensangelegenheit: Klaus – der Mann, der Dir hilft. Today, Welda Heinen is still on the move 32 weeks of the year. 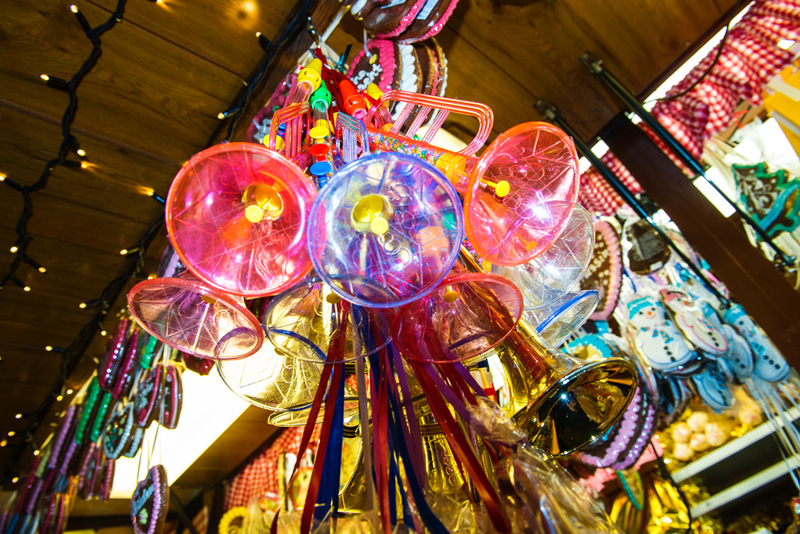 The season starts with the springtime fair in Würzburg and always ends here at the Mannheim Christmas fair. 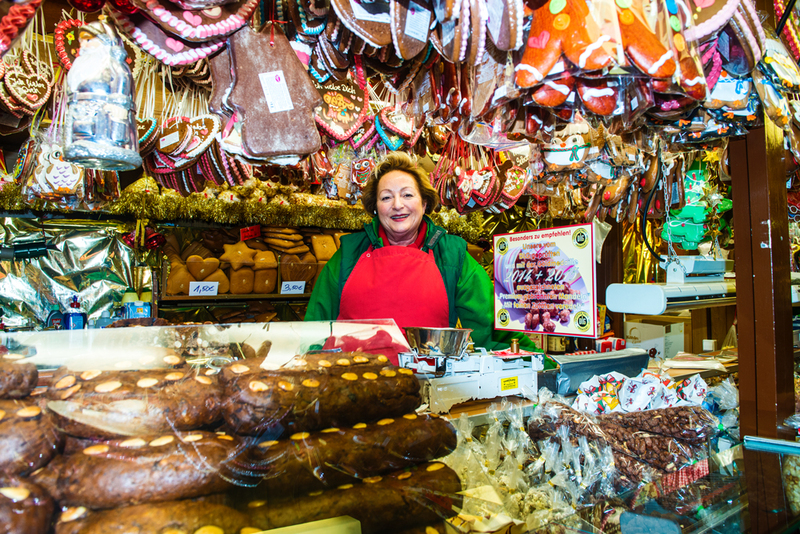 She does not only run her confectionery stand, but also various stands for dart and ring throwing and for shooting as well as ice cream stands, which brings her as far as the town of Straubing. “My business is my life,” says the native of Worms, even though she had wanted to matriculate when she was a teenager – but then she realized: She could be really close to people here at her stand. Instead of studying psychology, she has trained as a good judge of character over the decades. Welda Heinen is aware of her special childhood. Classmates used to envy her caravan life. However, it wasn’t an easy route with the constant changes in place, school and friendships. In return, certain things stayed the same in the caravan and at the square: “The kiddie kitchen and the toy shop were our realm.” The wardrobe was shared by the family, the sofa bed was the parents’ bedroom, just next to the kidney-shaped table and the television set. Business was usually best on Saturdays and Sundays, on Tuesdays the family left for the next town. Fried potatoes, eggs and salad was the traditional meal for the “day of transport” – the little details that she recalls with fondness. Somewhere between all of this: Hundreds and thousands and frog wine gums. Maybe this is why she has a very good understanding of what her clients look for when they come to her – the taste of memories. Her secret recipe? 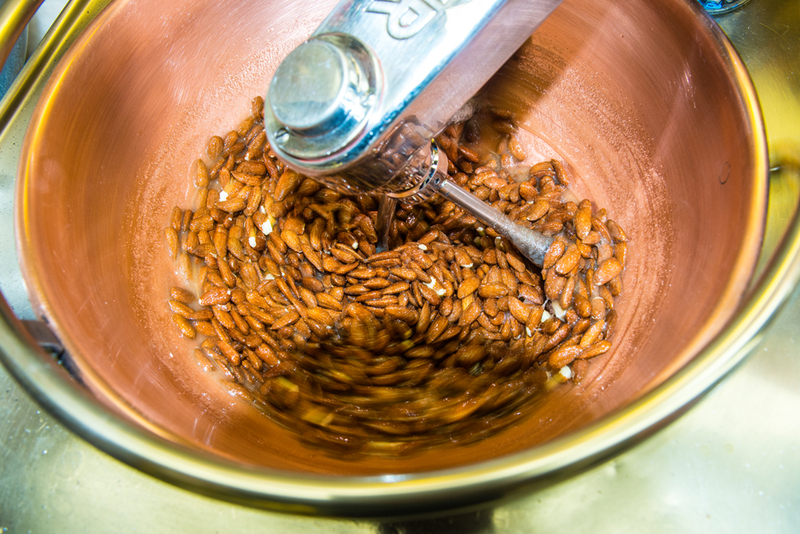 “I have many.” Her roasted almonds received an award by the German Agricultural Society DLG for two times in a row. “I won’t, of course, give away the flavours that I use in it,” Welda Heinen smiles mysteriously. There is professional secrecy among show-people as well. The only thing she reveals about her fruit bread is that it is produced in the old, well-tried manner in Nuremberg. In a small company. And, of course, for decades already.